Hyundai Heavy Industries cuts another 3,000 employees, as part of the restructuring and cost reduction programs. The new jobs reduction represent 10% from the workforce of the shipbuilder and cuts will start during the next week. Hyundai Heavy Industries suffers from heavy losses due to the low newbuilding activity, delay of the world economy and crisis in the offshore industry. The world’s largest shipbuilding corporation will also close 100 of its 308 business division, which is equivalent to around 20% percent of the group. 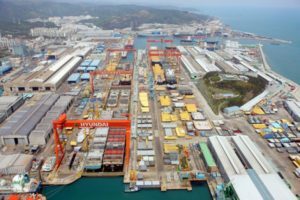 The vessel and platform design team of Hyundai Heavy Industries would be relocated from Seoul to the corporate headquarters in Ulsan, as part of the restructuring plan. The shipyard has debts of over 5 billion USD and missed an important bond repayment a few days ago, which might turn it into bankruptcy. The group reported loss of 1.3 billion USD during the fiscal 2015, mainly due to delays in offshore vessel projects. the forecasts for 2016 are also not optimistic, but shipbuilder should succeed for minimize the looses. Hyundai Heavy Industries is implementing cost reduction and restructuring program which aims to improve the liquidity and cash flows. In January 2015, the company offered to 1,500 workers a voluntary retirement deal and also cut part from the subcontractors. 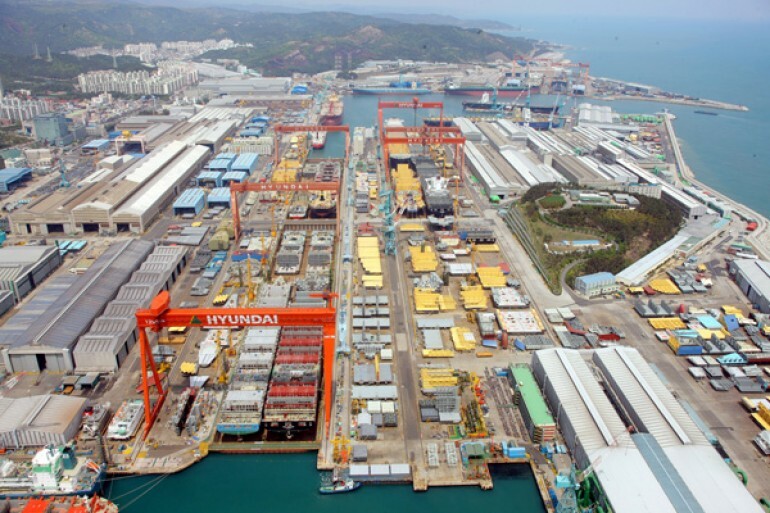 Hyundai Heavy Industries is the world’s largest shipbuilding company. The shipbuilder currently employs 27,000 people at its dockyards.